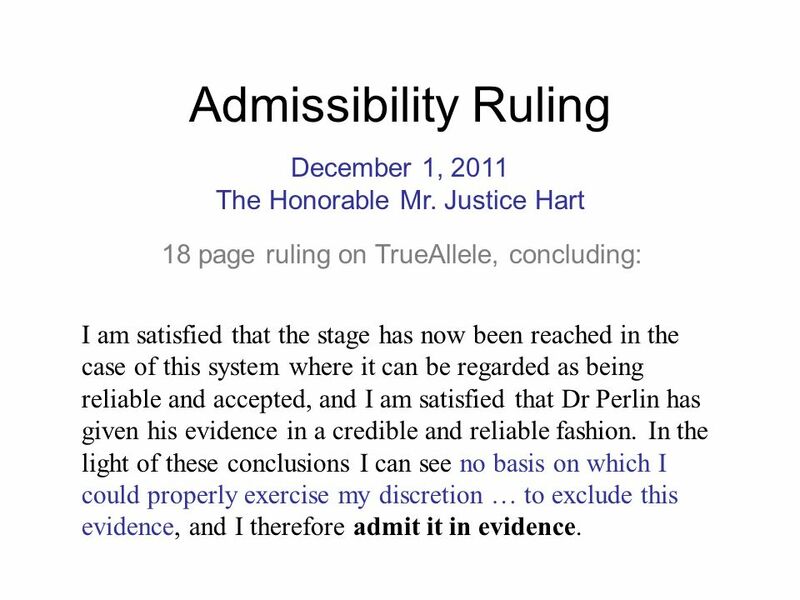 Admissibility Ruling December 1, 2011 The Honorable Mr. Justice Hart 18 page ruling on TrueAllele, concluding: I am satisfied that the stage has now been reached in the case of this system where it can be regarded as being reliable and accepted, and I am satisfied that Dr Perlin has given his evidence in a credible and reliable fashion. 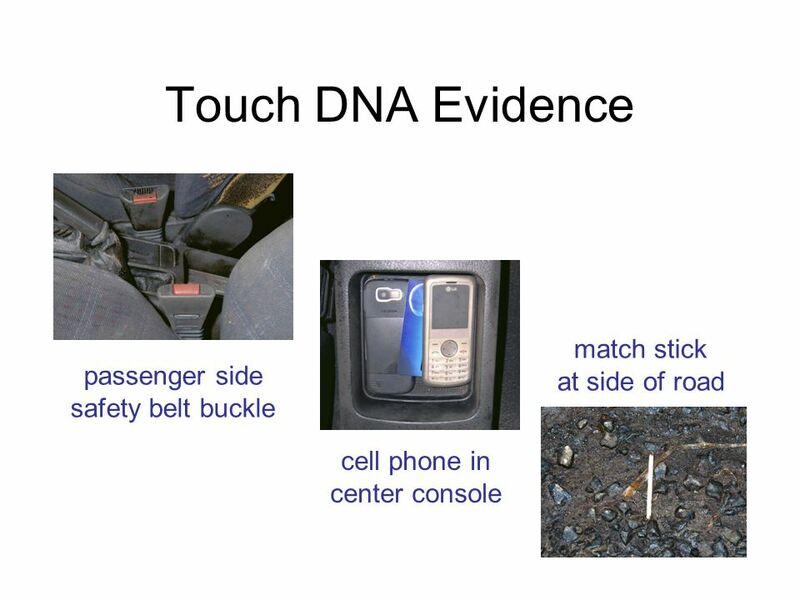 In the light of these conclusions I can see no basis on which I could properly exercise my discretion … to exclude this evidence, and I therefore admit it in evidence. 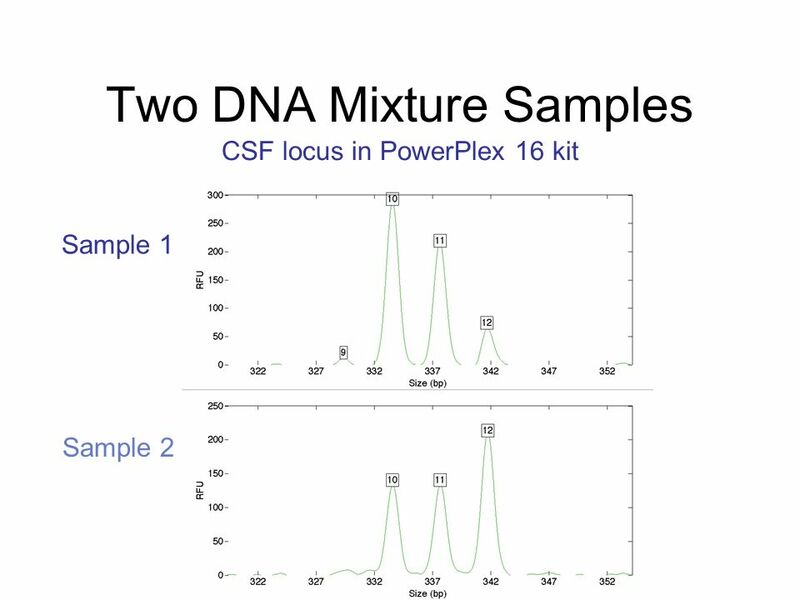 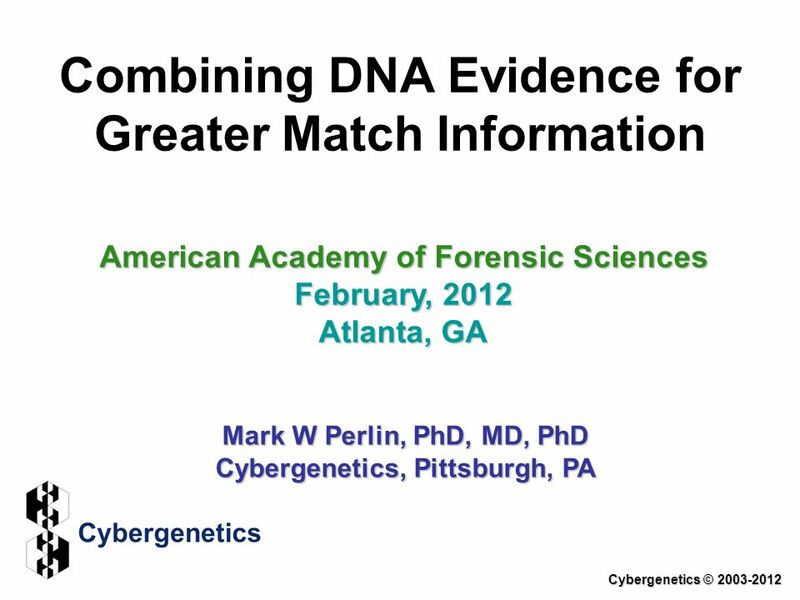 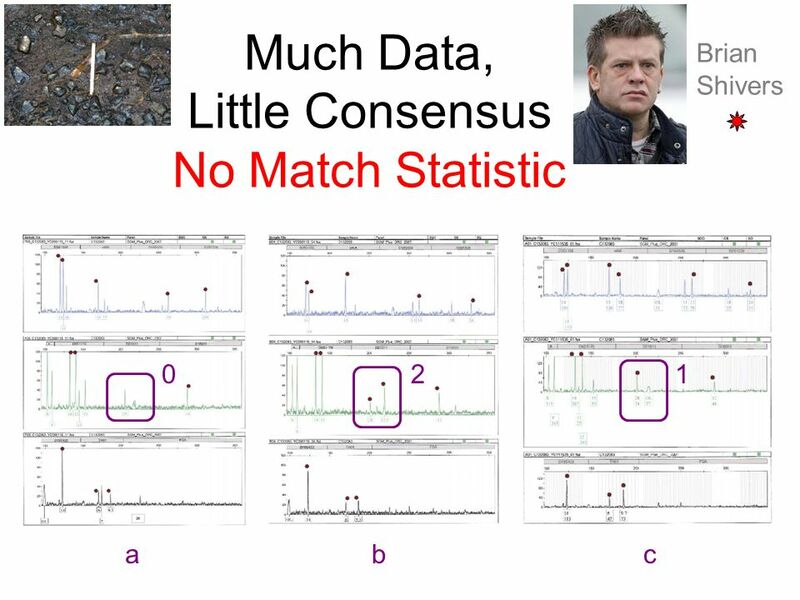 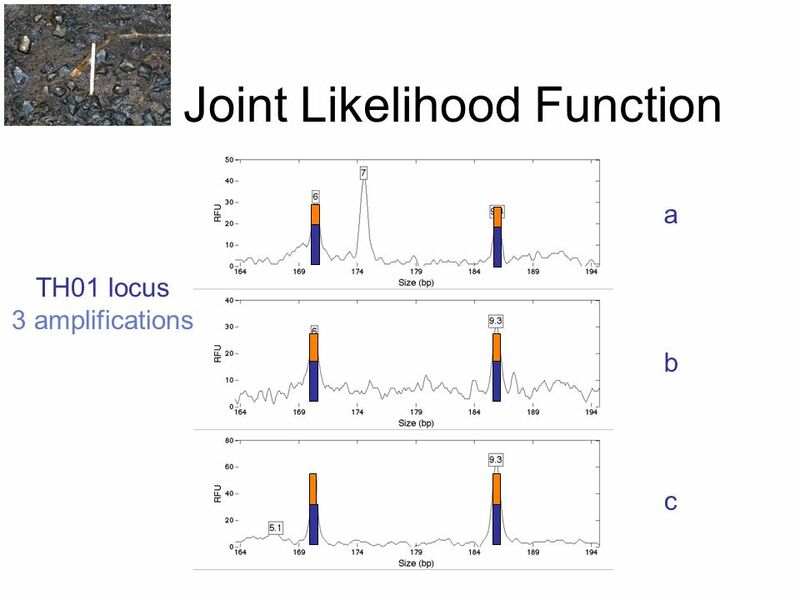 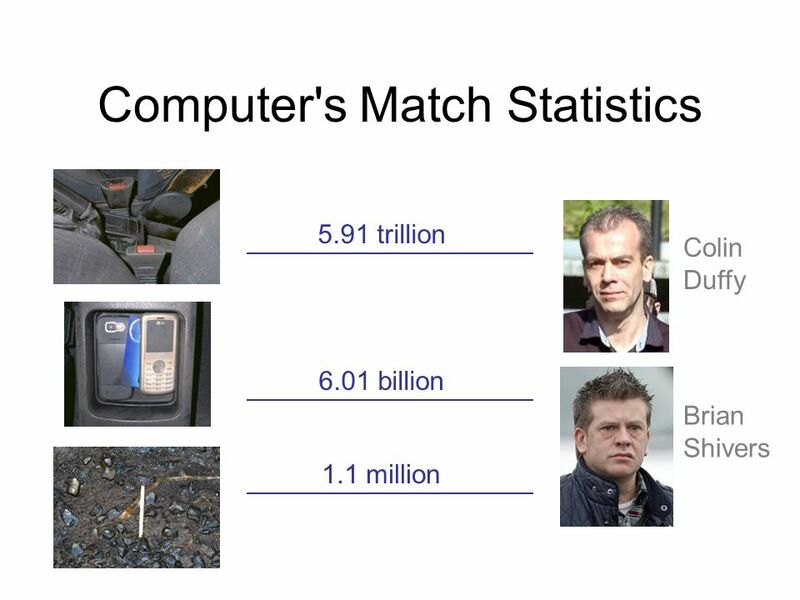 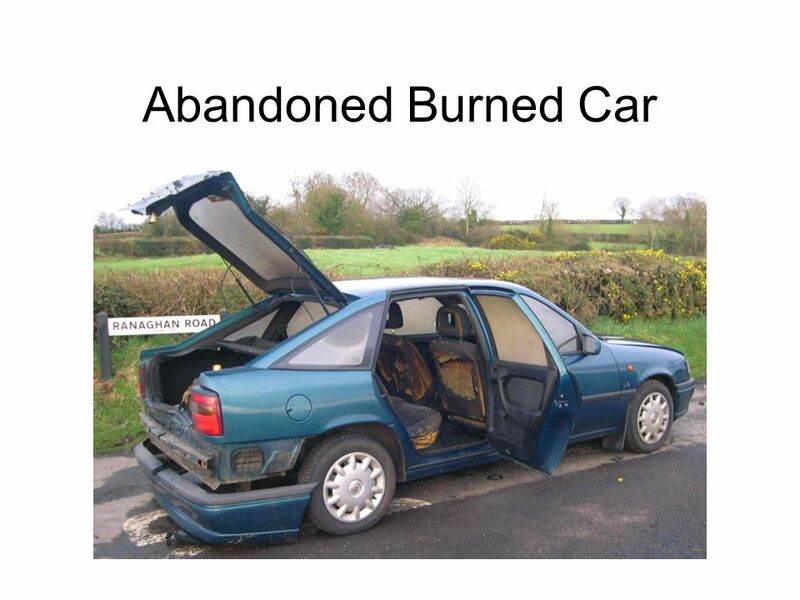 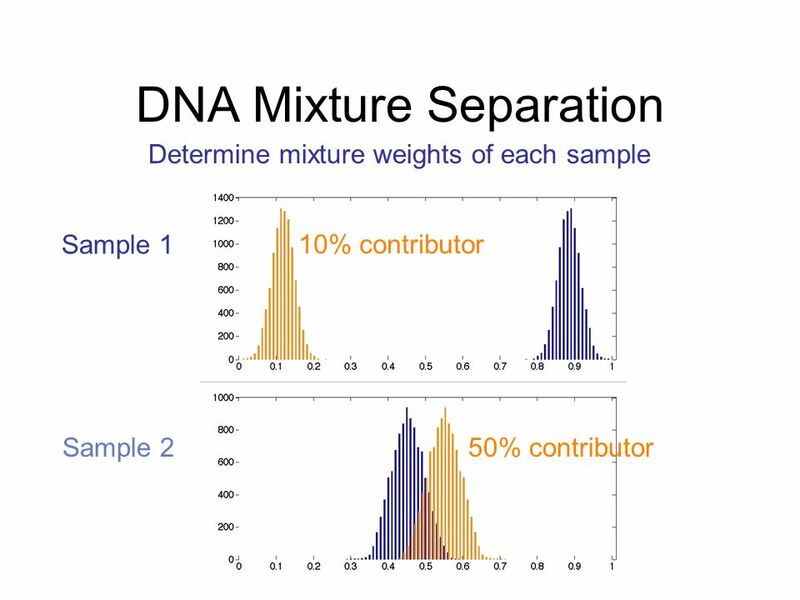 Download ppt "Combining DNA Evidence for Greater Match Information"
Overcoming DNA Stochastic Effects 2010 NEAFS & NEDIAI Meeting November, 2010 Manchester, VT Mark W Perlin, PhD, MD, PhD Cybergenetics, Pittsburgh, PA Cybergenetics. 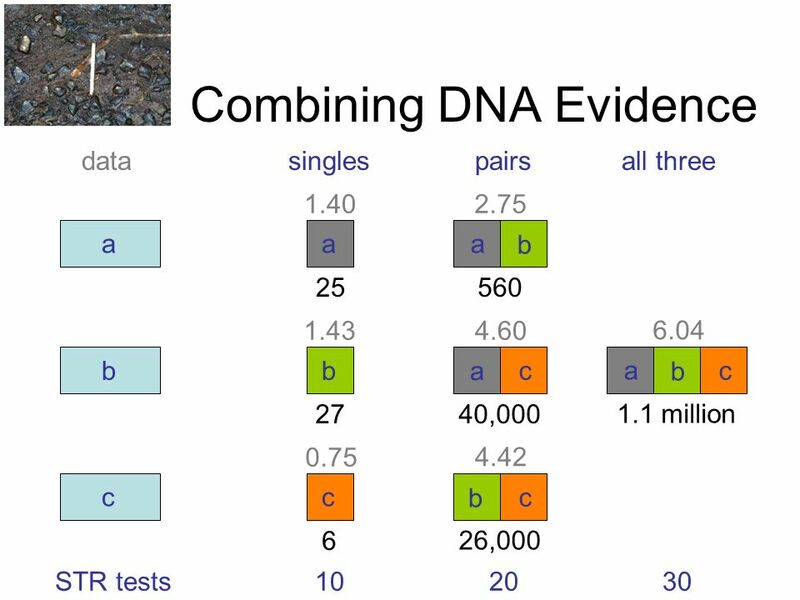 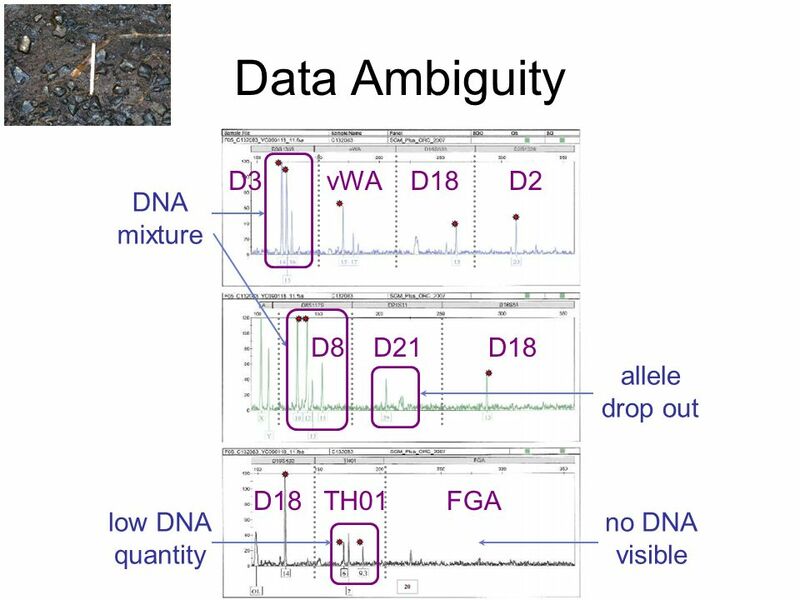 DNA Mixture Interpretations and Statistics – To Include or Exclude Cybergenetics © Prescription for Criminal Justice Forensics ABA Criminal Justice. 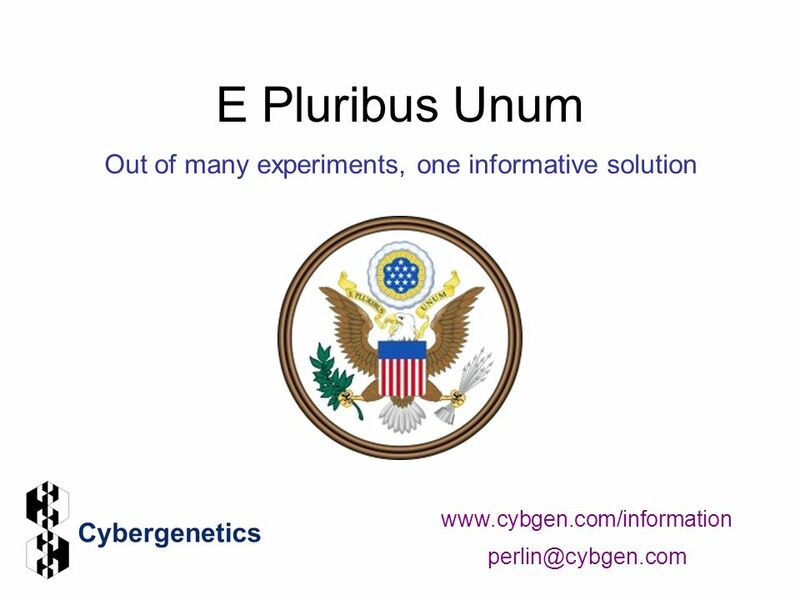 New York State Police TrueAllele ® Casework Developmental Validation Cybergenetics © New York State DNA Subcommittee March, 2010. 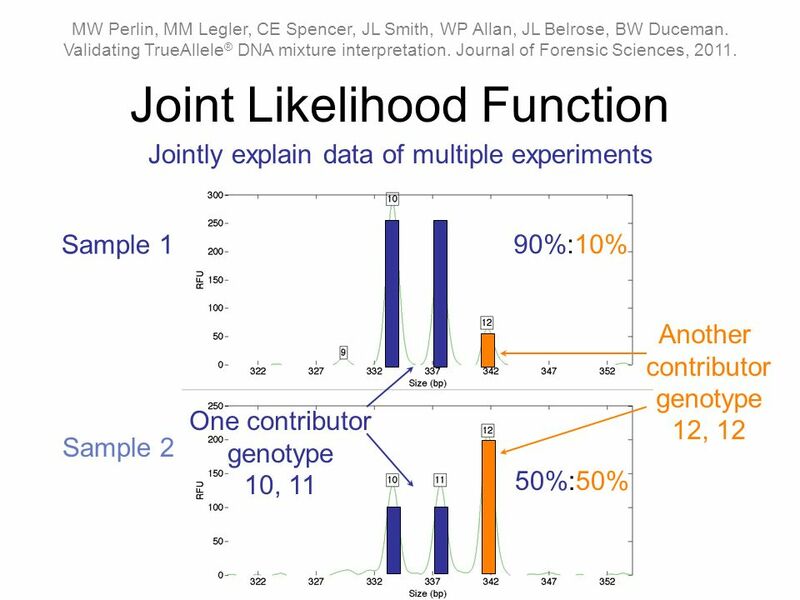 The DNA Information Pathway TrueAllele ® Workshop April, 2013 Leicestershire, United Kingdom Mark W Perlin, PhD, MD, PhD Cybergenetics, Pittsburgh, PA.
Finding Truth in DNA Mixture Evidence Innocence Network Conference April, 2013 Charlotte, NC Mark W Perlin, PhD, MD, PhD Cybergenetics, Pittsburgh, PA.
TrueAllele ® Challenges in Court and Culture Cybergenetics © th Annual DNA Technology Educational Seminar Centre of Forensic Sciences and the. 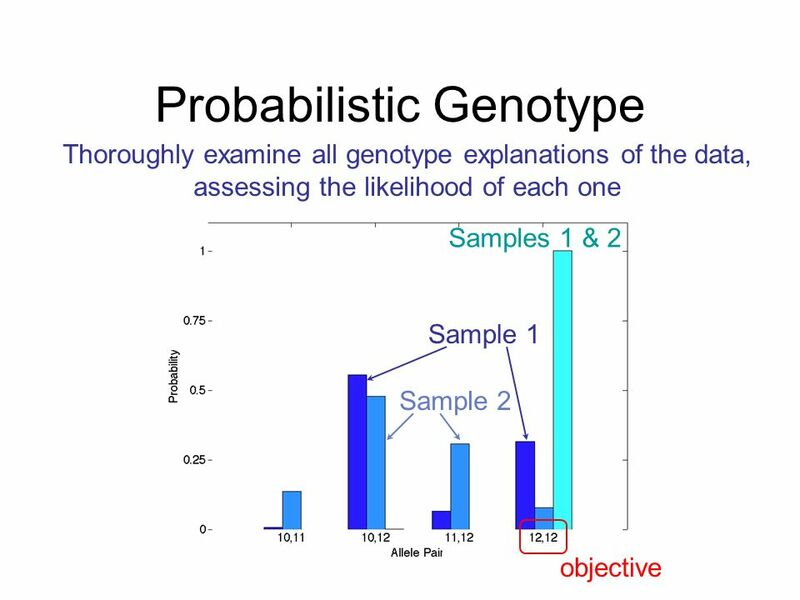 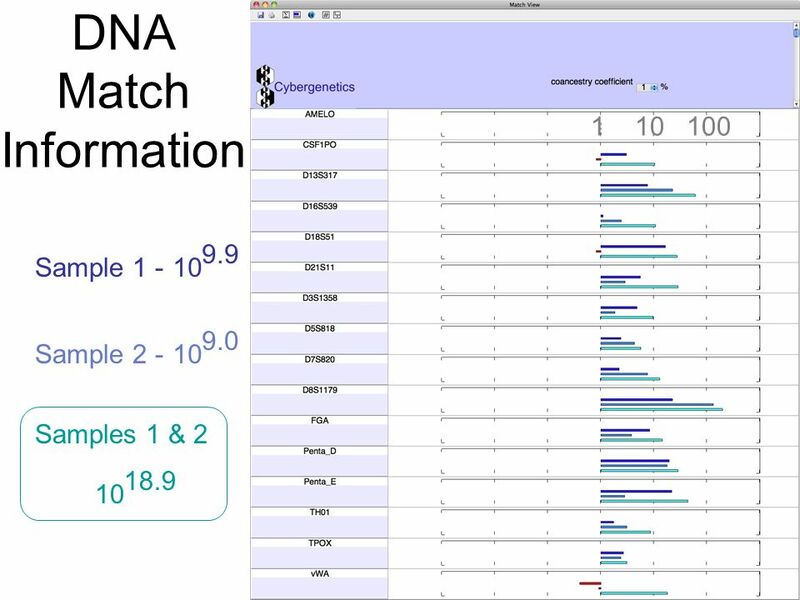 Probabilistic Software Workshop September 29, 2014 TrueAllele® Casework Mark W. Perlin, PhD, MD, PhD. 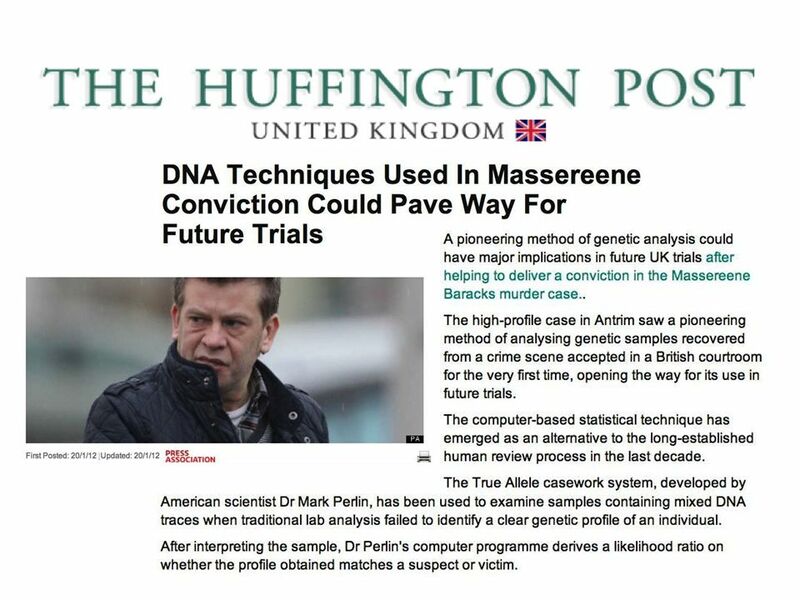 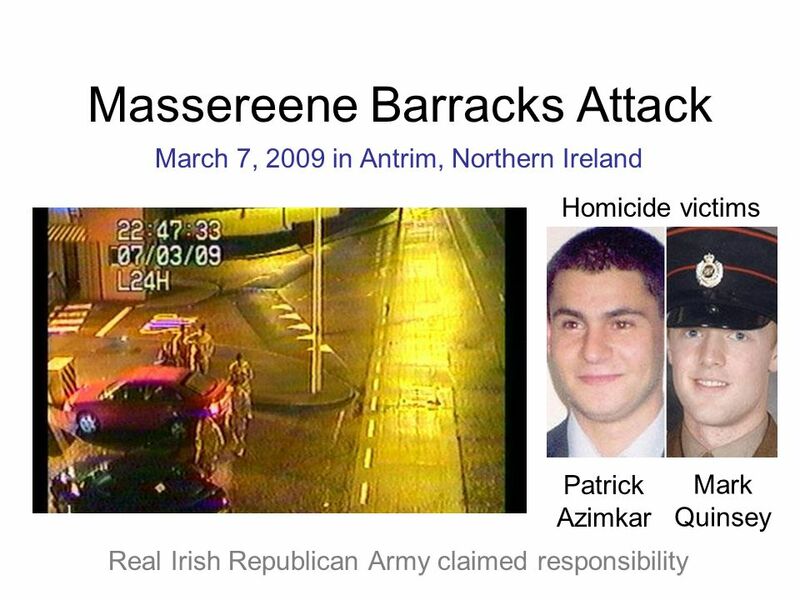 Open Access DNA Database Duquesne University March, 2013 Pittsburgh, PA Mark W Perlin, PhD, MD, PhD Cybergenetics, Pittsburgh, PA Cybergenetics © 2003-2013.